efi systems are more geared from a tuning standpoint for sort of a street/strip use and the variability ranges may not be ideal based on your racing uses and venues. Are there specific rules that mandate or restrict efi systems or components? I sort of understand where you are at now. From the pic of your car build at this point looks very nice and sophisticated and obviously you are trying to build a competitive car. Since you seem a little early in your engine plans and ultimate goals I would make a recommendation for you if you can or might have an opportunity to talk and ask questions with some other race car class owners who run that series and pick their brain so to speak on how they might equip their engines if they could have a more perfect setup for their efi and especially from a tuning standpoint. EXPERIENCE is the greatest teacher and there is no better substitute for experience in a particular type of racing and engine setup. I have been to Sebring and I had an opportunity many years ago to make some hotlaps in a car there and all I can say is it was a very different experience than some other road race tracks I ran on. That track is silly FLAT, crazy BUMPY and some very flat tight turns and I remember thinking it was not easy to keep the car at what I was thinking might be anywhere close to maximum! I don't know how it might have changed in current times and use but if it still has some of those crazy conditions you will test your car and abilities very quickly. Back to efi. 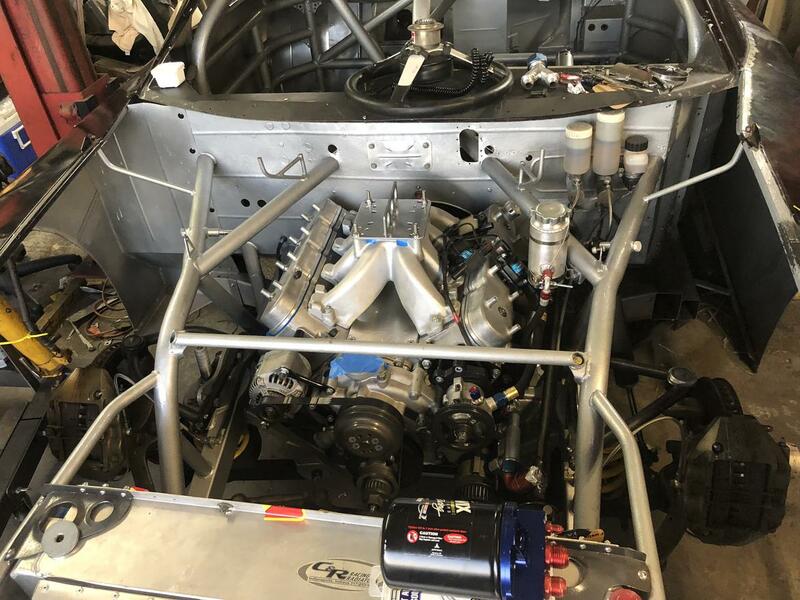 I think the idea of self tuning for a lot of moderate racing uses might be a plus initially but it will have limitations in that most self tuning systems unless they also have a good added parameter tuning capabilities might not give you all the tuning ranges and adjustment capability you may ultimately want or NEED in a finely prepped race car. To spend $2K or so and then down the road find out you need a more capable efi tuning system may be a limiting and might come up short from a hindsight situation. 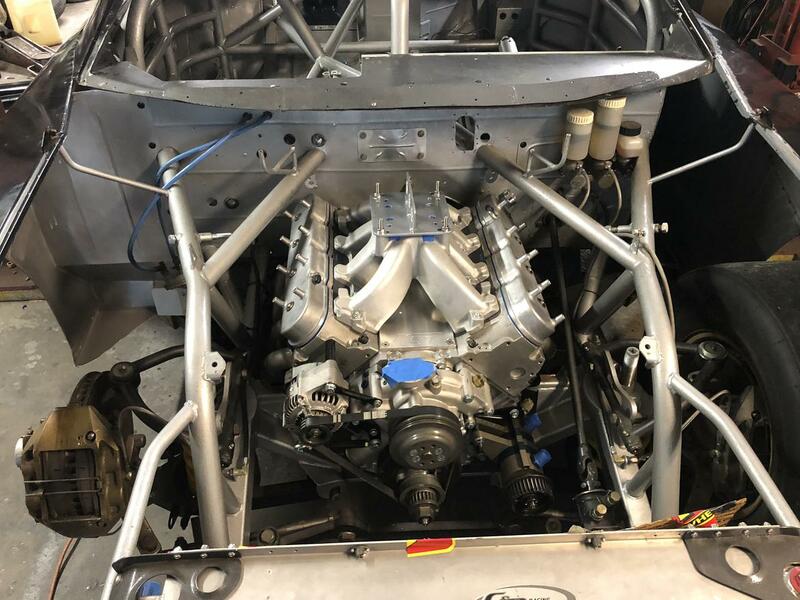 Obviously there are some super sophisticated engine management systems like Motec that a lot of racers use but the cost of these as you may know are prohibitive for a small race car effort. I also think there are some what I call middle ground efi engine management systems with great tuning capability and more reasonable cost but before you make this decision see if you can get that class engine rule input and hopefully get some input and recommendation from some racers at your track who have run and competed with some similar class efi equipped cars like you are settting up here. Also for efi tuning and support it's really important to use a system where the factory will have real full time support for your questions, suggestions, training and down the road issues. Don't mean to throw a sort of road block in your efforts but I think a little careful investigation and planning will make for a better experience and result in your race efforts. Keep us informed of what you discover and learn on your journey. Looks very well built from that pic! It's highly likely that you'll end up moving on to some rules-based racing class down the road, so where feasible it would make sense to build for that contingency, if only by leaving latitude to easily bring it into compliance, e.g. if a carb was dictated for same, might as well start with one or vice-versa. Also, I don't see any provision for power steering. Unless the car is not much more than 2,000 lb., the average guy wouldn't make 5 laps at speed with any more that 2° caster. The Vintage Mercury Merkur below that I consult on is 2350# dry and until we added PS two years back it left the driver noodle-armed after a 20 min. race. Bill look at the pic again carefully, I think I spy a couple of PS fittings on the box.? Yes, spotted them just now, before I saw your post.. The front engine dress looked complete in the pic, with no obvious ps pump mounting. It took us some effort to squeeze one into our car as the 380" SBF takes up more space than the original Cosworth 4 cyl. Last edited by ctk30 on Sat Oct 13, 2018 10:38 pm, edited 1 time in total. I would recommend you take a hard look at the Holley 550-500 HP EFI kit. It will bolt on your LS EFI intake shown in our pic. and give you a very easy to set up and use EFI system. It can transfer anytime to a different engine type with just an intake manifold change. The Holley sequential port injected EFI systems are great and this system can be easily tuned and can be adjusted with a set of 48lb. injectors to meet almost any power level you need to run in that car. The factory tech and support at Holley is some of the best and you will be able to get things running great with any help you need. I use the Holley Dominator EFI ECM's and I feel for the dollar there is no better!